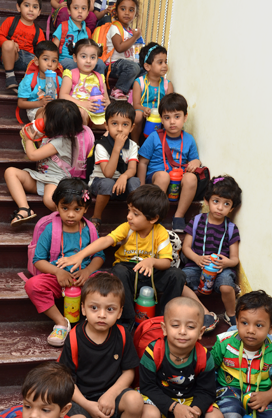 Indian Montessori Centre (IMC) is an early learning education training centre, set up in 1981. It is the flagship institution of the Teachers Training Institute umbrella of organizations being set by the founder member, Ms. Paramita Biswas, upon her return from completing and subsequently teaching Montessori training to teachers in London. IMC initially offered a Montessori teacher training course through correspondence. Due to increasing demand and interest, IMC soon began regular contact classes from 1983. IMC is the only Teacher Training Centre for Montessori education in India, which offers a world class, internationally recognized Diploma. IMC has established itself as one of the most authentic, quality centre specializing in training teachers in the Montessori method, in Asia. Candidates should be at least a graduate with fluency in written and spoken English. Discrimination can be used at personal interview. Montessori Philosophy, Child Development, Psychology, Sociology, Nutrition and School Organization. In accordance with Dr. Montessori's philosophy, special emphasis is given on four key areas: Sensorial activities, Mathematics, Language and Exercises of Practical Life. All teaching is with the use of specialized equipment and care is taken to ensure that each student gets enough time to access all the equipment individually. Environmental Studies, Culture Subjects (Music, Children's Art and Literature) and Computer skills. Practical teaching practice in renowned schools of Calcutta. is an integral course component. Exposure to latest teaching techniques and thinking is provided practically through annual updates of course content and theoretically through IMC's international library of books. In keeping with I.T. Revolution, IMC trains teachers in computers, for teaching children and for the development of their own skills. 100% successful results for over 15 years. IMC trained teachers are employed in recognized Montessori and traditional schools worldwide, including USA, Australia, Singapore, Indonesia, Dubai and India. IMC trained students have opened their own Montessori Schools successfully in Calcutta, Assam, Nagaland and Nepal. Due to high demand, IMC refresher courses and Montessori exhibitions are always heavily oversubscribed by the Alumni and professionals in the sector. The Founder Member, Ms. Paramita Biswas is regularly invited to teach at The London Montessori Centre, U.K. as an expert consultant.